Successfully saved Salmon Poke Bowl to your Calendar. You can also save the ingredients to your Grocery List. This trendy Japanese-inspired fish/rice bowl concoction is here to stay. 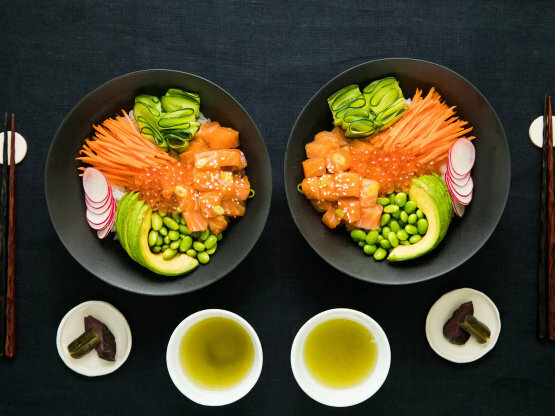 Eye-popping colors brought to you by salmon, avocado, edamame, and carrots.